Visitors to an art installation in Berlin, called the "Martyr Museum," were stunned to see images of jihadists who carried out terrorist attacks in Paris and New York; the French embassy and social network users have reacted to the exhibition with shock and consternation, while an AfD politician has launched criminal proceedings. A controversial art installation in Berlin, called the "Martyr Museum," has caused outrage by including jihadists who carried out terrorist attacks in Paris and New York. The exhibition displays images of famous martyrs such as Martin Luther King, Maximilian Kolbe and the Greek philosopher Socrates, along with images of Paris attacker Omar Ismail Mostefai and 9/11 terrorist Mohammed Atta. Atta was one of the hijackers who killed 2,977 people in the US on September 11, 2001. 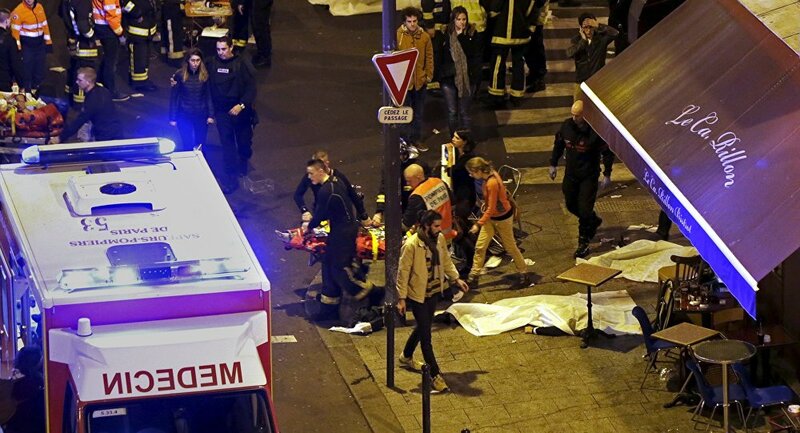 On November 13 2015, Omar Ismail Mostefai was one of several suicide bombers and gunmen who killed 130 people and injured 413 others in coordinated terrorist attacks across Paris. Social network users expressed their shock at the week-long exhibition, which opened last Wednesday. — G. Berlin Germany (@gBerlinGermany) 29 ноября 2017 г. — Pflegefrau (@pflegefrau) 2 декабря 2017 г. ​The French embassy has responded with "consternation" to the exhibition, which it described as "deeply shocking." "While keeping in mind our attachment to the freedom of artistic creation, we strongly condemn the confusion here between martyrdom and terrorism," it stated, AFP reported. On Friday, deputy chairwoman of Alternative for Germany (AfD) Beatrix von Storch announced that she had filed a criminal complaint against the organizers of the exhibition. Von Storch said the installation "glorifies and legitimizes Islamic terrorism." — Beatrix von Storch (@Beatrix_vStorch) 1 декабря 2017 г. ​"I have just filed a criminal complaint against the martyr's exhibition: the public approving of murder is offense according to article 140, paragraph 2 of the penal code. And, anybody who transforms the Bataclan mass murderers into martyrs approves of their actions. Enough is enough!" von Storch tweeted. On Monday, the Danish artists stated that the criticism is a "misunderstanding" of the artwork and contend that the terrorists' "motivations and actions are in no way glorified. Terrorists are named as terrorists, hostages as hostages, murderers as murderers." The installation is part of the Nordwind festival, which exhibits work from the North European and Baltic arts scene for a German audience. It was created by a Danish art collective called "The Other Eye of the Tiger," comprised of six graduates from the Danish School of Performing Arts. — Der Nordschleswiger (@nordschleswiger) 5 декабря 2017 г. ​"Danish artwork in Berlin Causes Anger in France," the German-language Danish newspaper Der Nordschleswiger reported. The exhibition first opened in Copenhagen in May 2016, where it also attracted controversy with its juxtaposition of terrorists with historical icons such as Rosa Luxemburg and Joan of Arc. "I am outraged that they put an honorable socialist like Rosa Luxemburg in the same category as suicide bombers and terrorists," Danish Culture Minister Bertel Haarder told the Danish newspaper Politiken at the time.